Am looking forward to a Grandma Lunch with Yayoe and Hanni tomorrow at McGrath's. I'm trying to figure out how to transfer photos to Picasa - I have great pix of Robbie, Seraph and Isa. 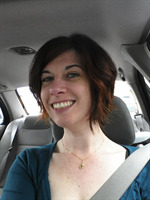 I had a great time playing hooky with Joanna yesterday. We began the day by getting up late, unfortunately with both of us with a fairly bad headache. We chewed on pain pills, bid farewell to the children, and hit up the Beanery for a mocha and chai latte. That gave us the burst of energy needed to go next door to Down to Earth where we worked on our wedding registry. At this point in our lives we have most of the critical household items, but look forward to replacing our rusty cookie sheets and chewed-up wooden spoons. I always forget this weird "getting presents" part of weddings. We headed to Skeie's next and picked out wedding rings. We basically knew what we wanted, so it was mostly chatting with the owner and finishing our second mocha/chai of the day. Next was a sushi place where my vegetable yakisoba was turned into chicken, which I found out after a few bites. At least they tore up the bill. Next was the mall and Hunger Games. I enjoyed it, and found the visuals to be much more emotionally impactful than just reading certain sections. I did miss Katniss' internal dialog. I'm on the last book now and will likely finish this weekend. Before heading home, we bought the last of my wedding outfit. It's pretty casual and hip, which reflects our plans nicely. Sam and Emma arrive tonight. We're heading to the coast tomorrow. Should be fun. I tried hard not to do much all weekend, though I wasn't entirely successful. Friday night was kid filled, due to the start of Spring Break. The entire weekend was a mix of play and necessities. I think Joanna was the only person to go anywhere (other than a pizza run). Joanna slept in on Saturday, and Emma and I both had headaches. I stuffed the kids with sausages and crepes, while Joanna and I had dutch babies. I finished the Hunger Games book, played on the computer for a couple hours, and got some practical things done. Emma finished the Star Wars movies. We played outside with the last of the snow. Joanna very nicely went food shopping and folded a lot of laundry. Duncan, Emma, Sam, and I all played Apples-to-Apples and had a great time. Sunday was another sleep-in day for Joanna while I magically made breakfast. The little kids and I played in the basement to the point where I was exhausted. Sam played through an old game of his. Joanna made vases for the wedding out of Sculpey. I finished cleaning up from the snow storm, pruning the camelia that was so badly damage. It now looks much smaller, but relatively normal. Sam and Emma went off to their mom's house this morning, so the house will be quiet for a few days. Time to get ready for the upcoming beach trip. It's mid-morning, my Friday mocha a pleasant memory. I'm actually at work today, after staying at home with kids for the last couple days. Sam was sick this morning, complaining of a headache. He went to bed at dinner time and didn't wake up until seven, so I'm taking him at his word. 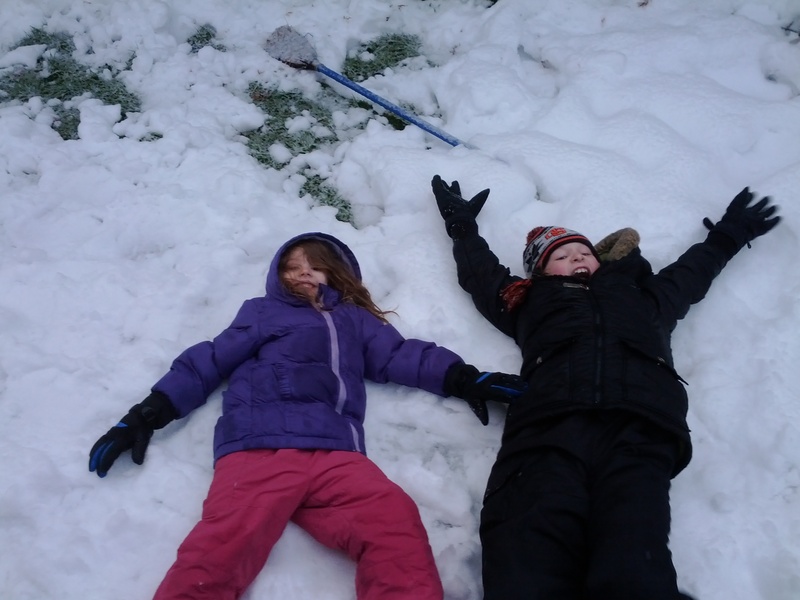 The last couple days have been full of kids and snow. We worked from home with occasional breaks outside to hang out with kids. Jessica came over to help with everyone. Emma spent the last couple nights with us, as Jamie wasn't sure she had power Wednesday night. With spring break around the corner, it seems like we've had a lot of time out of school. I have a few snow repair tasks this weekend, but otherwise the plan is to hang out and enjoy the start of spring break. Sam and Emma will go to their mom's house from Monday through Thursday, so I hope to enjoy them as much as I can. Last night was pretty quiet after kids got to bed, as Sam was already asleep. Joanna and I watched Downton Abbey, which is absolutely fantastic. Hi, I don't know whether or not it's because they just started to bloom, and the blossoms caught the snow, but the cherry trees in Eugene are broken and the streets are strewn with cherry blossom branches. Today is gorgeous and sunny. It snowed more last night than I'd ever seen in mild Eugene. We had somewhere between 6 and 10 inches on the ground. Power lines were down, trees were all over the road, and all the exits from I-5 were blocked. You couldn't get here. The schools, of course, were closed. We decided to stay home and actually did a bit of work in between outings. I took Berry out before breakfast. Our neighbor Todd almost clocked me with a snowball. The crazy neighbor boys ran around in the snow in shorts. Berry and I played until it was time for breakfast. We made a hearty breakfast of crepes and oatmeal pancakes. I had a mocha. It was filling and delicious. Jamie took Emma over, as she was itching to play with kids her age. We all went out again and built a fort. Eventually everyone grew tired and the kids watched Star Wars in the basement. I wrote code and dried off next to the fireplace. Sam worked on his Minecraft world. We lost a lot of branches from the camelia in back and a few of our bushes look droopy. We didn't lose any trees or big branches, though some of our neighbors did. Joanna has yet to get out of her pajamas. Tonight is date night, and I think we're going to try walking to Off the Waffle. Much of the snow has melted and it continues to rain. Such an interesting first day of spring. The weather has been weird. It snowed off and on all weekend, though it never actually stuck to the ground. It was quite pretty, looking out the window and sipping my mocha. This was after I made Dutch Babies and slathered them with powdered sugar, lemon juice, and syrup. To top it off, the whole crew split a pain au chocolate. Delicious. The kids are all good. Friday night we went out for dinner at Ratatouille and returned home to watch Downton Abbey. Saturday morning I fetched Emma and she, Duncan, and I played pretend in the basement while Joanna took Berry to a doctor's appointment. The rest of the day was fairly low-key. I cleaned and did laundry. I got the chance to play on my computer, finishing Orcs Must Die and getting to The End in Minecraft (though not beating the game). The whole crew went to the library after lunch, returning with treasures. Joanna made marshmellows from scratch. Berry read her Sonic book all afternoon. 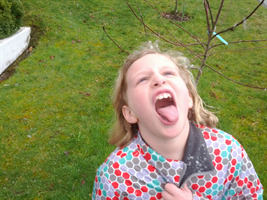 Emma watched a bit of Avatar, taking a break to eat snowflakes. Duncan played Minecraft. After dinner Emma worked on her cue cards for her Numbat speech. Sunday morning was filled with breakfast and play. Emma finished and practiced her speech. Sam arrived, showing off his castle and town he built in Minecraft. The whole crew went off to cheese park for a surprising length of time. Joanna played music. Pizza and Mythbusters wrapped up the day. This morning I took Emma and Duncan to school. It was snowing again, so I showed Duncan how to catch snowflakes with his tongue and gave him jumpies until my arms got tired. Adam just spent an hour with me and my new Dell computer, and I'm using it right now! I am hoping that I've covered all the areas I needed help with. I realize that I forgot to get help with that dumb "slow script" message on Facebook, but maybe the new computer will solve that problem. In the meantime, it's been sort of a down week; Bob's in the "cluster headache" mode; sometimes I wonder how he manages to be cheerful, as I hate to have headaches. On the bright side, Jordan and I went to see Big Miracle yesterday afternoon, which was a good movie for kids and adults. We've had almost non-stop rain for the week. Hugs to all, again thanks to Seraph, Robbie and Isa, more kind words for Adam, and springtime is coming! I made it to the end of the week. My mocha is recently finished and I have a pile of work waiting for my attention. Tonight is date night, and we're debating where to go. Somewhere with food and music would be lovely. It's been a little non-stop this week, full of kid homework, laundry, dishes, and making dinner. My computer has been randomly rebooting and I've been attempting to fix it during all of this. I ended up replacing the power supply on the dining room table during a brief moment between homework and bath. I think I impressed Joanna with the tangle of wires. Berry had fun participating in a U of O psychology experiment involving four year-olds and memory. We kept joking about brain removal, though they apparently kept her skull untouched. She thought it was a fine way to earn $10. Emma woke up at 4:30 a.m. with some dream about me dying. I think both Joanna and I are looking forward to sleeping in tomorrow if we can. Sam's off of school today, so I left him a sandwich by the computer and a note telling him I love him. I'll see him Sunday some time. Duncan's lingering cough continues. Mine is finally better, I think. Pi day went relatively well. 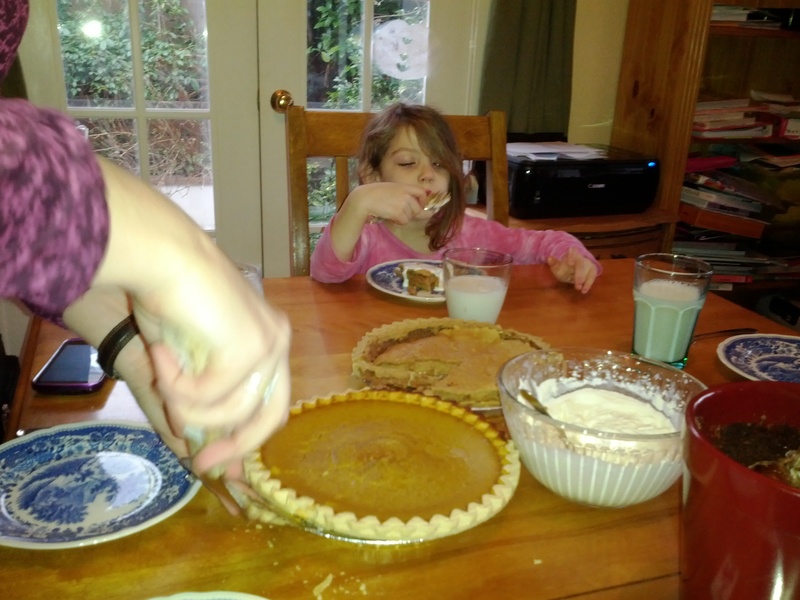 The pumpkin pie was great, as was the quiche. Sadly the gypsy pie didn't quite meet Joanna's memories from her English school girl days. Looking forward to the weekend and hopefully a little down time. It's 3/14, which is Pi Day among the nerdy crowd. 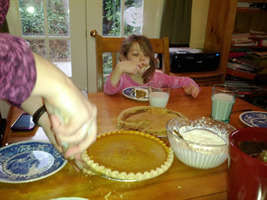 Joanna cheerfully informed me yesterday, and followed up with baking pumpkin and gypsy pie for tonight. Evidently gypsy pie is a favorite from her childhood, basically a milk and sugar filling. Sam might even eat that one. My only contribution was making a new batch of whip cream this morning. It's been a low-key week, as is often the case. Sam was going to go to Newport on a field trip, but it got cancelled. I'm relieved, as I didn't really want him out on a boat in 70 mph wind gusts. He's a big kids and all, but that's a bit much. Since it's the last week of the term, his homework is pretty light. Sam finished Ender's Game today and is moving on to A Planet Called Treason. We watched 28 Days Later on Monday night, and another Walking Dead last night. Perhaps tonight we'll catch the season finale. Duncan and Berry have been their normal selves - going from funny to maddening and back again. Usually it's Berry who has moments of great stubbornness and sweetness. Duncan's pretty good-natured if occasionally rambunctious. Joanna and I continue to get ready for the wedding and do the normal life routines. Best of all, we seem to have a knack for making each other laugh. It helps immensely. We left 66 degree New Mexico to arrive in Portland last night to a fierce snowfall, heavy and wet. Fortunately, Bob is a great driver, though we didn't get into bed until 3 a.m.
We had a wonderful vacation with Seraph, Robbie and Isa. The first day we we spent in Albuquerque, going to the zoo-botanical garden-aquarium complex, which is really amazing. The zoo has spacious areas for the animals, and the acquarium's choice and display of sealife is engaging. Right now I'm so tired I can move, so I'll just wish everyone good-night! So, Daylight Savings just happened. I somehow woke up ten minutes before the alarm and managed to drag everyone out of bed in time for work and school. I'm still a little groggy, but mostly functional. Jenny, Jordan, dad, and our crew (minus Sam) all headed to Roaring Rapids for pizza in honor of dad's birthday. The little kids loved the carousel. Emma became enamored with the claw game, desperately wanting a dolphin stuffy. Joanna loved the gluten free pizza, and we all had a great time chatting and hanging out. We had dutch babies and crepes for Saturday breakfast. Joanna went to get a sassy haircut, leaving the kids and I to do science. We played with baking powder and food coloring. A great mess was made by all. Joanna took the little kids shopping after lunch. Emma and I hit up the library and got a snail for her slime-encrusted fish tank. I had gotten Sims 3 with the Sim Pets expansion, and so everyone had fun riding their ponies about for the rest of the rainy afternoon. Sunday was fairly quiet, getting Sam late in the morning. 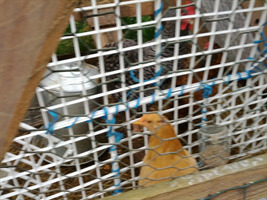 We played, kids did sewing projects, Sam worked on homework, and we chased chickens outside. Emma found her dessicated fish that had lept from the tank, and we had a small ceremony in the back yard. Yesterday we all drove to the Chaco Canyon National Park, about two hours west of here. It's a World Heritage site, with many small (10-20 families) villages throughout the canyon, and some very large ceremonial complexes with hundreds of rooms. The buildings were made of stone with adobe covering; the adobe is pretty much washed away but the rock is still pretty sturdy. Some of the buildings were three or four stories high. We're headed into Espanola to see The Lorax; Isa is a kick. As Grandma Sadie would have said, "Standing with reluctant feet where childhood and womanhood meet." Berry woke me up around 5:30 this morning, cheerfully explaining how she just wanted someone to tell her dream to. Midway through Duncan wandered in and proceeded to tell me his as well. I left them watching Sonic on Netflix and stumbled off to take a shower. It's been a fairly typical last few days. Sam's been struggling with the new contacts that Dr. Arbow gave him. They seem better today, but it may be that he goes back to his old brand. His vision has declined slightly, but not dramatically so. I'm still the most blind of anyone in the household. We've got a family pizza dinner with Jenny and crew tonight, and Emma's friend Kate is in a play tomorrow. There are assorted plans for the weekend such as a library trip and shopping sprees. Hopefully the weather is nice and we can putter in the garden some more. Spring is starting to feel like it's creeping up on us, with some warm days in between the hail and snow. At least the flowers are blooming. It's halfway through the week, filled with the usual wacky family comedy. Sam lost his contact this morning, his last pair, and so I was scrambling around on his floor trying to find the thing. Fortunately he's going to the eye doctor today and hopefully getting new ones soon. I've added a backup pair of glasses to his "have to have" list, as otherwise he'd be absolutely blind at school. Duncan and I continue to have an annoying cough. I ended up moving to Emma's bed since she's off, and I woke up coughing. Hopefully the two of us are on the mend. Joanna was worn out last night, and gave me that pleading look asking if I could read stories to the kids. I had been playing Overgrowth with Sam, so I handed her the controller and we swapped duties. While I was reading princess and Calvin & Hobbes books, I overheard them laughing in the living room. I think Joanna found the ninja bunny game to be somewhat cathartic. Tonight is our hot date night. I think the plan is to grab a bite to eat and then shop for a wedding outfit for me. The wedding plans are coming together nicely and we're all getting excited. Happy birthday Dad!! I hope you're getting some time off to play and enjoy the day! Joanna and I went out on a hot date on Friday, going to a coffee shop to listen to a folk singer. She played "The Wreck of the Edmund Fitzgerald," so she was okay in my book. I fetched Emma the next morning and after some hang out time, we caught our non-egg-laying chicken Melody and took her to a farm, picking out a new chicken we named Golden Pheonix. Upon our return, Henrietta was very aggressive, pecking Goldie's neck until it bled. 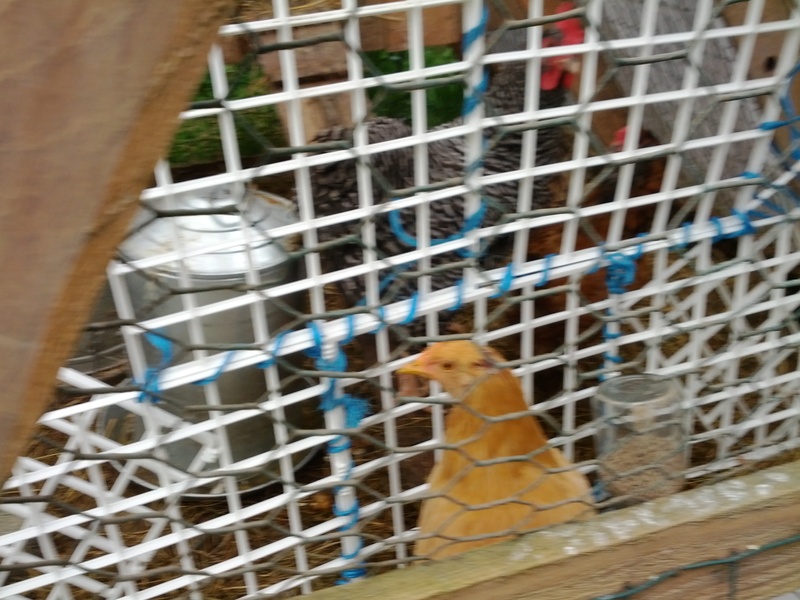 Emma and Joanna built a little fenced off area in our coop to keep the smaller bird safe. Hopefully the girls will all settle down in a few days. Emma went off to Kate's birthday party and sleepover. Evidently they were up until past midnight, only getting six hours of sleep. Emma was so tired the next day that she fell asleep on the couch and was still pretty tired this morning. As for Sunday, Joanna went to church with Duncan, and took both kids to a play date out in Marcola. I hung out with kids and finished listening to Ready Player One. It was a great book, and I managed a tremendous amount of cleaning while listening to it. Sam, Emma, and I ran around outside playing tag in the sunlight. Joanna and I also managed a bit of gardening. The sun felt so nice. Duncan ran around shirtless with the neighbor boys. I took mine off to do some hoeing. Spring is coming. I took Nyquil last night, which always leaves me a little spacy the next day. I've yet to actually get my hands on a mocha, as I'm stuck in a rather boring meeting at the moment, but my plan is to get that delicious caffeine in my belly as soon as possible. I've been sick the last few days with a cold that's more annoying than anything else. I stayed home yesterday, though I worked all day. I feel pretty good today, though I'm at the stage where all the mucous solidifies and makes me feellike my head is made of concrete. The kids are generally all doing okay. Sam and Duncan had a slight cough this morning, but otherwise seemed fine. Emma's her usual cheerful self. We're buying a piano off Craigslist, which is getting picked up today. Joanna's been wanting one for awhile, both for herself and teaching the kids. Emma in particular is excited to have a piano in both her homes. Joanna went shopping for wedding dresses yesterday, and settled on one that she liked. It's looking like our colors will be desert blue and chocolate - I'll be sure to give the correct CMKY colors for everyone so they can match appropriately. We might go with cream dresses for the girls too. As for the weekend, we have a few things going on. The plan is to replace our non-egg-laying chicken with a new one. Emma's going to Kate's birthday party and potentially spending the night. I went to visit Chester today, and she nearly knocked me down with excitement and energy. Yeah!! It will be another day before she can eat baby food (though she apparently chewed through 2 IV tubes and tried to eat a syringe cap), and she may have to stay on easy to digest dog food (the stuff for old dogs) for the rest of her life (ie less intestine to digest). In addition to the dog news, I've been subbing at Alcalde Elementary the last two days (first for 4th, then for 5th grade). Isa and Robbie are ready for spring break next week, and we're really excited to see Mom and Bob next week! Quick update on our dog Chester. She went in for exploritory surgery today. They originally thought something was obstructing her stomach, but when they opened her up they realized that whatever virus she had had damaged a section of her small intestant. They removed about 3ft, sewed her together, and now we're hoping she can finally recover.